Hello beautiful! Today I'm with another local startup company that is making the world a better place with their sensational bath and body products. The products were all tried and tested to ensure the formulas and scent combinations work for their clientele in this sometimes hot climate. I adore the fact that she uses ingredients that remind you of the Caribbean; like coconut and orange. 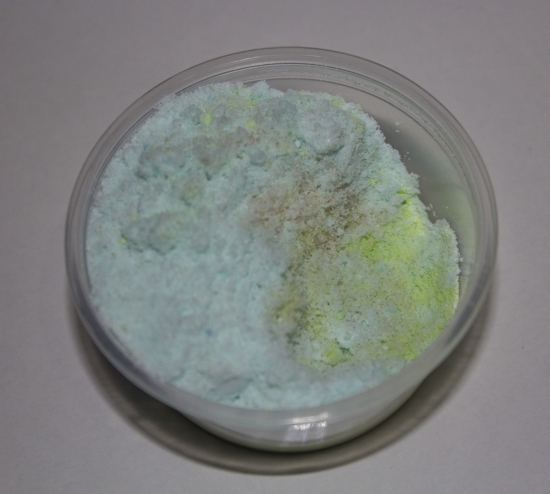 Ingredients used include pink Himalayan salts, Epsom salts, bentonite clay, coconut and essential oils, baking soda and more. 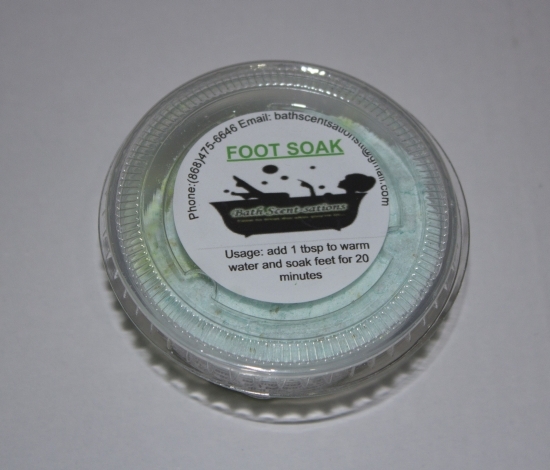 It fizzes with the water to give your feet a nice tingling feeling while softening (due to the oils) and de-stressing your tired feet. 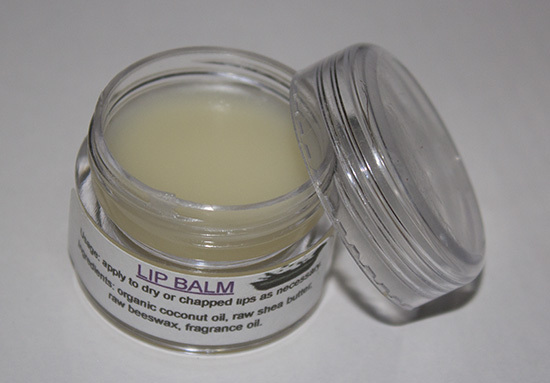 Ingredients used gives great moisture and moisture barrier protection to the lips: coconut oil, raw shea butter, raw cocoa. Scent: Mint Chocolate (or like Cocoa butter) but it is also available in Peach. Colour: Cloudy white in container but clear on application. On application, you get a slight tingling feeling which dissipates after a few seconds. I apply to my lip using my ring finger and usually circulate the top and bottom lips three times for adequate coverage of the product onto the lips. Lips are instantly softer and moisturized; not glossy but doesn't leave a sticky feeling. Packaging into a small hard plastic air-tight clear container with label attached to the side. You can see the product from all angles within the container. Ingredients: Coconut oil, glycerin, oatmeal, sodium hydroxide and more. Scented with peppermint oil and tea tree oil. It is chemical free and great for sensitive skin. Great lather and gentle exfoliation from the oatmeal. The oatmeal was concentrated to the front of the soap, so use this side to exfoliate or switch it over for a regular soap finish. The soap itself remained intact even after a few uses. In other words, it didn't break apart with the moisture. 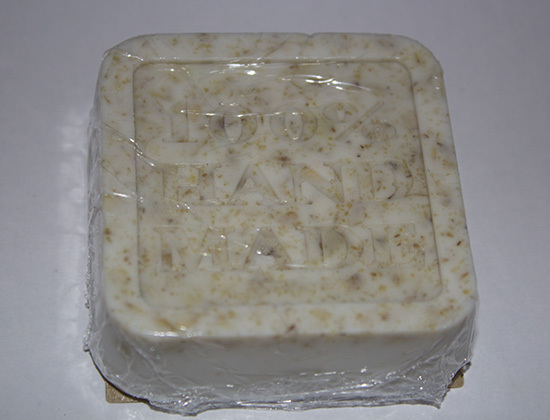 Scented with pepper mint and eucalyptus oil for an intense aroma in the shower. Place in your steam shower but try to avoid direct contact with water since it will melt away immediately. This happened with me! Once the heat in the shower builds up the intense vapours with evaporate and fill the shower. It's makes for a calming bathe. I was extremely pleased with the quality of these products, knowing that they were all lovingly handmade with care down to the product packaging and labels. 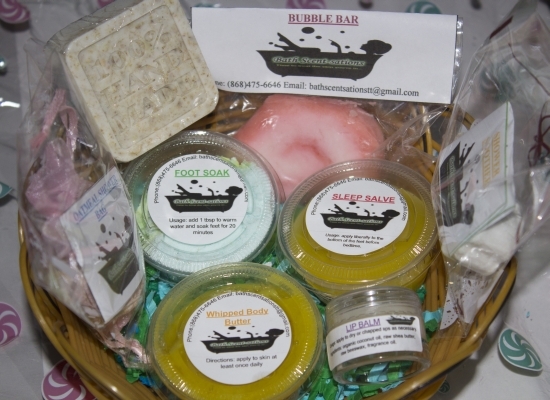 Stay tuned for part two, where I reviewed the other 4 products from the basket.